If your future includes a move to Trabuco Canyon, check out Meathead Movers! Our professionally trained student-athlete movers, moving concierge, and princess packers are prepared to get you safely moved into your new Trabuco Canyon home. 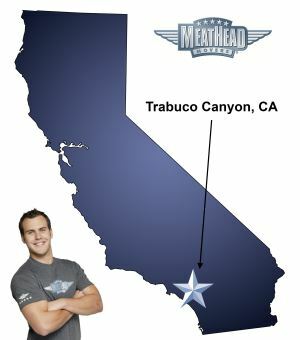 When you make your move to Trabuco Canyon, be sure to contact Meathead Movers. No matter what type of moving service you need, our student-athlete movers are ready to handle all your moving needs. The beautiful community of Trabuco Canyon lies in southeastern Orange County at the foot of the Santa Ana Mountains. For most families, moving to Trabuco Canyon means living in quiet and friendly neighborhoods that are close to dozens of major Southern California attractions. Our Trabuco Canyon movers can help take the stress out of making the transition to your new home by loading, driving and unloading your possessions for you. In the mid-18th century, Trabuco Canyon was discovered by Spanish explorers and was later settled as a ranch. While few of the original buildings in the area stand, adventurous individuals and families can head into the canyon to get a glimpse of how early California explorers traversed from Trabuco Canyon to the area known today as Rancho Santa Margarita. Thanks to its Orange County location, Trabuco Canyon is also an easy drive from some of the area’s most stunning beaches. A wealth of shopping and dining opportunities can be found in nearby cities, particularly Rancho Santa Margarita and Mission Viejo. While Trabuco Canyon is a bit off the beaten path, families who live there will enjoy quick commutes to many Southern California destinations thanks to the town’s proximity to the Foothill Transportation Corridor system of toll roads. For those who are settling down in Trabuco Canyon, the process can seem overwhelming. Choosing Meathead Movers as your Trabuco Canyon movers is a great way to take the stress out of moving and begin the transition to your new home. At Meathead Movers, we are proud to employ student-athletes who always jog when they are not carrying boxes. We also offer a wide variety of services, such as our moving concierge, to ensure that you’ll get a great start in your new home. Our Princess Packers can take care of boxing up your possessions, that way you can rest assured knowing that even your most fragile items will be safely packed away. Moving to Trabuco Canyon should be exciting, not stressful. At Meathead Movers, we’re proud to be your Trabuco Canyon movers of choice. Our friendly, professional team will take the utmost care to pack, load and unload your possessions. Whether it’s a local, long-distance, or commercial move, we can help. Contact us today for a free no-obligation moving quote! Moving to Trabuco Canyon? Here are some helpful resources. View more Trabuco Canyon resources. Very courteous, all spoke English and hustled. George and team were on time and quick. They were very careful with my stuff and had a good attitude the whole time. Great experience overall. Well done job, very nice team, we will recommend your service. Very nice clean cut kids. For their age, they are very professional. It is nice to have them in our home, especially compared to the big moving companies who hire ex-cons to do your move. The organization and prep work were impressive. The crew communicated since they were on-route and once they arrived, they followed what I would call a very detailed workfolw that manages information to the customer and all necessary information-gathering activities to perfrom the job. Once they got to it, they never stopped until it was done!! !